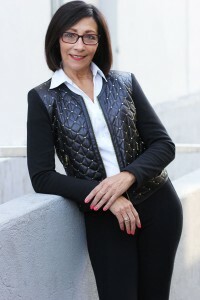 Based in Los Angeles, Laura Marie began her real estate career in the 1980’s as a Title Rep for Gateway Title and took advantage of that knowledge and experience to become a licensed Real Estate Agent. A diverse background in service and sales coupled with the constant adaptation of the most advanced web-based technology, allows clients of Laura Marie to enjoy an edge in today’s real estate marketplace. Laura Marie prides herself in providing excellence in real estate services for both buyers and sellers alike. Operating on the belief that expectations are the strongest foundations for success, Laura focuses on establishing the most important objectives in order to orchestrate the best possible experience for her clients. The consistent high level of communication connecting clients with the market trends and conditions guarantees excellent exposure for Sellers and invaluable knowledge for Buyers. Her mission is to provide each client with extraordinary quality of service in the buying and selling of real estate and to always act with honesty, integrity and truth. You can be assured the experience will result in discreet and conscientious attention as you search for the perfect home or are in pursuit of selling your home. Laura Marie is the Associate Branch Manager and Residential Leasing Director for Coldwell Banker Residential Brokerage. In addition, she is a Mentor to new agents and the Charitable Foundation Representative for the Coldwell Banker Community Foundation which donates to over 500 charities.